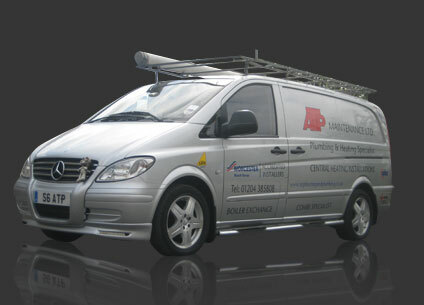 ATP are Worcester Accredited Installers for Bolton and Greater Manchester. We fit only the most Energy Efficient A Rated Boilers with the most energy efficient controls. All our Worcester-Bosch boilers comes with a FREE genuine 5 or 7 year Parts & Labour Warranty covered by Worcester-Bosch engineers. Every boiler we fit is fully registered on your behalf with Gas Safe and your manufacturer for its FREE warranty. We are a family business based in Bolton who cover all the Greater Manchester area. We pride ourselves on our customer service and over the years, we have built a large family of happy and satisfied customers. Our customers not only recommend us but come back to us year after year. 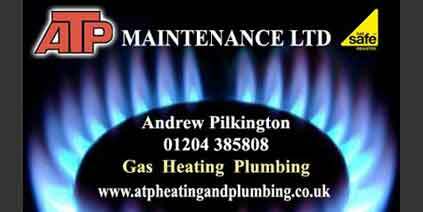 We are big enough to do any plumbing and heating work in the most professional way, but still small enough to value our customers and give you that one to one contact some big companies lack. Our Estimates are free and in writing and we can guide and advise on everything from Boilers to Bathrooms. So please take the time to read some of the many kind comments from our many customers. Our advise is free, with no obligation.